Hi! What would you like to do? Check answers to questions in the 'Look At Esperanto' guide? Find out a bit more about Esperanto? Find out what it looks and sounds like? See how Esperanto relates to other languages? Find out about Esperanto's first speaker? Show your parents or teacher some information about Esperanto? These are the answers to the quiz-questions on page 8 of the children's 'Look At Esperanto' guide. If you don't have a copy of the guide, and would like one, have a look at the next section, Find out a bit more about Esperanto, which will tell you how to get one. Don't talk in your own language at an Esperanto gathering! Well, you could send a message to us at our office and ask for a copy of our children's 'Look At Esperanto' guide. We'll happily post one to you. Don't forget to add your name, age and postal address so we know where to send it. Check with a parent or guardian first that this is okay with them. (Older children/young adults might find 'Discover Esperanto' more suitable; it can be viewed online here ). Alternatively you could have a look at our courses and learning support pages and maybe choose to buy something you find interesting, or visit the Lernu website and find out a bit more. Does it look and sound differently to English? Have you noticed the special letters? These help simplify spelling and speaking. If you want to listen to the sounds of the letters have a look at the Lernu website where you can click on examples to hear how the letters are pronounced. What is the Esperanto word for 'friend'? This page will show you the answer. Helpful hint: the Esperanto word for in is en and the Esperanto word for and is kaj. Hold your mouse over the words to find the answers. Do people write songs in Esperanto? They most certainly do! These are the words to a children's song which you can find here. Follow the words as you listen to the song and try singing along. En ĝardeno aŭ en park'. ...is a well-known group from the Netherlands who sing in Esperanto. They have kindly given us permission to place one of their songs here for you to listen to. This one is called Mi Memoras which means I Remember and it tells the story of a young boy remembering back to a time when he and his father used to fly kites together, and of how military aeroplanes get in his way. All these are available from our online bookshop. Can I listen to a story in Esperanto? Of course! If you'd like to hear what Esperanto sounds like, and listen to a story read aloud, click here. You will hear a short story about a pirate and his animal friends looking for treasure! If you would like to follow the words and look at the pictures that go with the story, you can print a small booklet, here. If you'd like to hear another story about a treasure-hunt, click here. I'd like to buy a book. What would be suitable? Here are a few ideas. If you'd like to buy one of these please ask your parent or guardian to order from our office. Explore the rest of our web-site (for example, our bookshop catalogue) and you'll find other ideas as well. First Thousand Words - Mil Unuaj Vortoj. 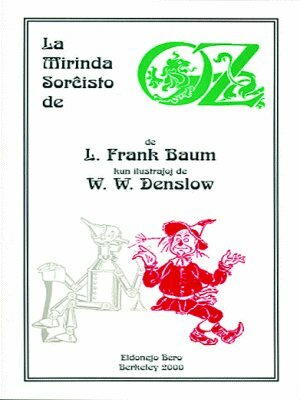 The Wonderful Wizard of Oz - La Mirinda Sorĉisto de Oz. The famous story translated into Esperanto with illustrations. Will learning Esperanto help me with learning other languages? Yes, it could quite possibly help. When Zamenhof built Esperanto he used words from other languages. Have a look at this quiz and see if you can match the Esperanto words to their foreign friends. Who was the first speaker of Esperanto? Where did Esperanto come from? The first speaker of Esperanto was Ludoviko Zamenhof who was still at school when he devised his language, Esperanto. Read 'The Zamenhof Story' and find out a bit more about him. I'd like to show my parents and my teacher something about Esperanto. What could I show them? Our home page shows all sorts of links that they might like to explore, this one gives more information on our courses for children, and the Springboard... to languages site shows how Esperanto is currently being used in some primary schools to introduce language concepts. They might also be interested to read the short article below. 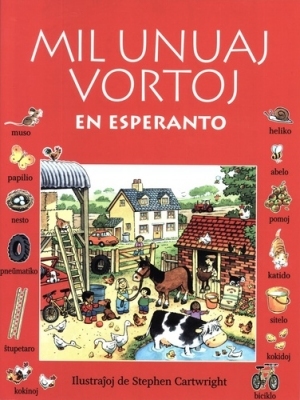 It shows how useful Esperanto could be for children and gives examples of how Esperanto 'builds'. Have a look yourself if you'd like. Talk to the World - talk Esperanto! Studies show that children progress much faster in their learning of other national languages if they first follow an introductory course in an 'apprentice language'. They also become much more aware of the construction of language in general, which can lead to an increased understanding of their own native language. Do you want your children to learn a language? One that's useful? One that can take them places? Learn 1 word x 5 endings = 5 new words. Learn 1000 words x 5 endings = ???? new words! How many word combinations now? This system of flagged word endings and word-builders means that learning the language is easier and creative... and, what's more, fun.